on the second night in Tokyo, Bibi and I suddenly had a jetlag and woke up at 3am and couldn't fall asleep again. That was super annoying, especially because we had an appointment at Arujyansu 11am and couldn't just go to bet later on when we were tired again. 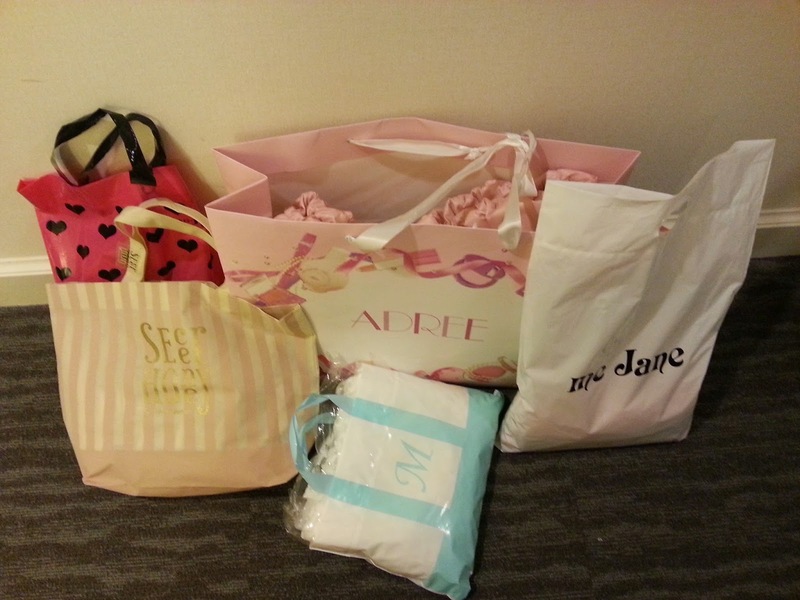 So we kind of made lists of things we bought, watched TV and ate breakfast. In Shibuya we made it to the appointment earlier even though we didn't find the shop at first. It was quite hidden. It was my first hair extension, Bibi already had one. I got the special set for 12.999 and the staff was really friendly and tried to talk to us, even though only two of them knew some English and I was the only one understanding some Japanese. But it as fun. Four people worked on my hair for about 40min and then everything was done. That was so fast! It was also not painful, only the guy was pulling it a bit more than the women but that was okay. I can really recommend this studio. I also wrote a "how to get an appointment" there. Check it out, yo. Afterwards we were already so hungry because we ate breakfast so early in the morning. So instead of going shopping immediately, we went for some food. There we ate Omrice-curry which was super hot! I loved it. After the food we finally went shopping and we really went into a shopping frenzy (again). 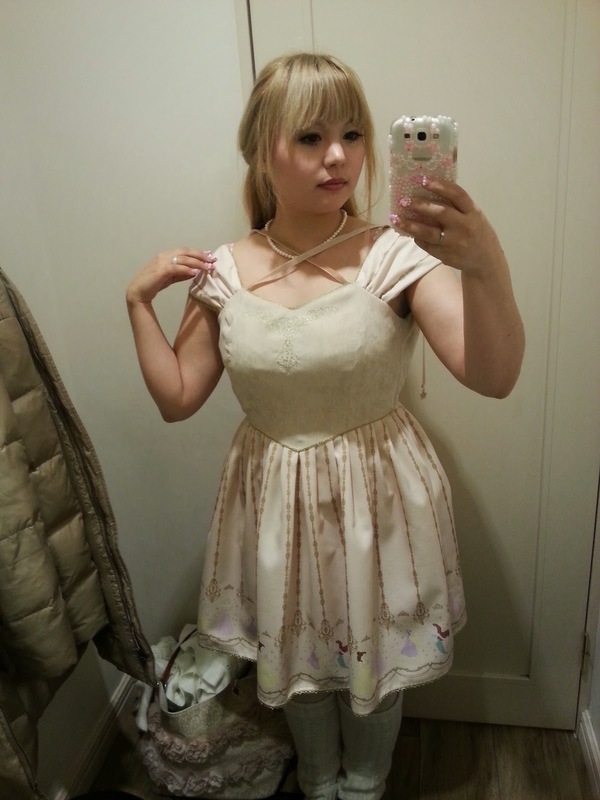 The first shop we went to was Secret Honey and I immediately fell i love with this dress. They have a new Disney collection, with a huge Frozen selection, and everything is so cute and just Disney. 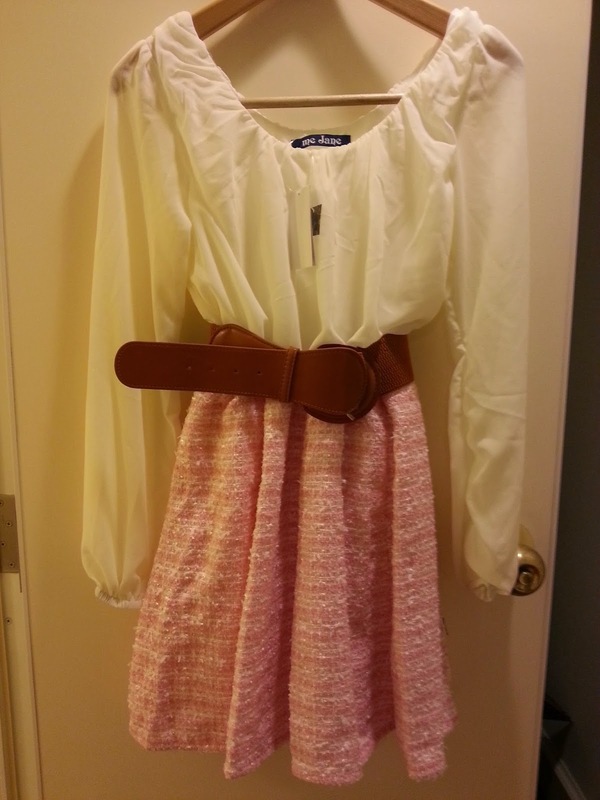 I illegally sneaked a picture in the dressing room from the dress I tried on. 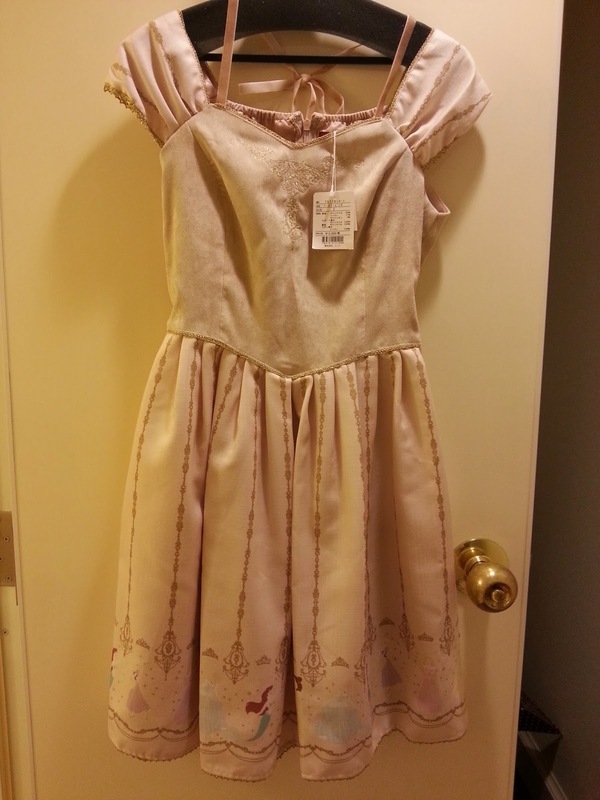 I don't know if it is visible but at the bottom there is a Disney princesses print. 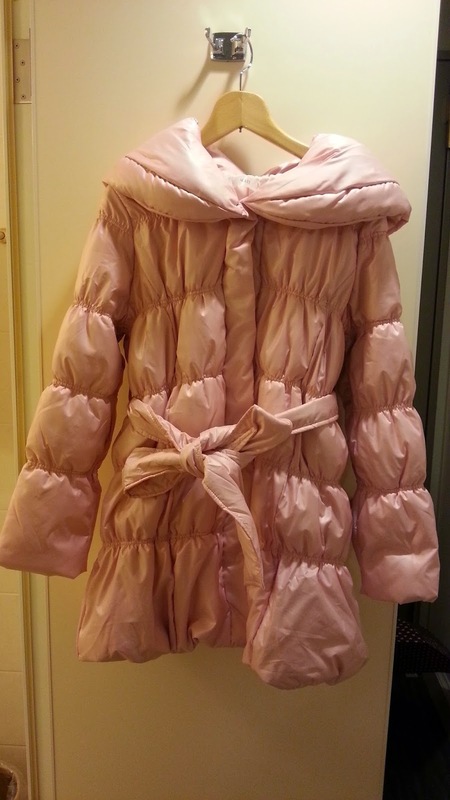 And yes, I did buy it. 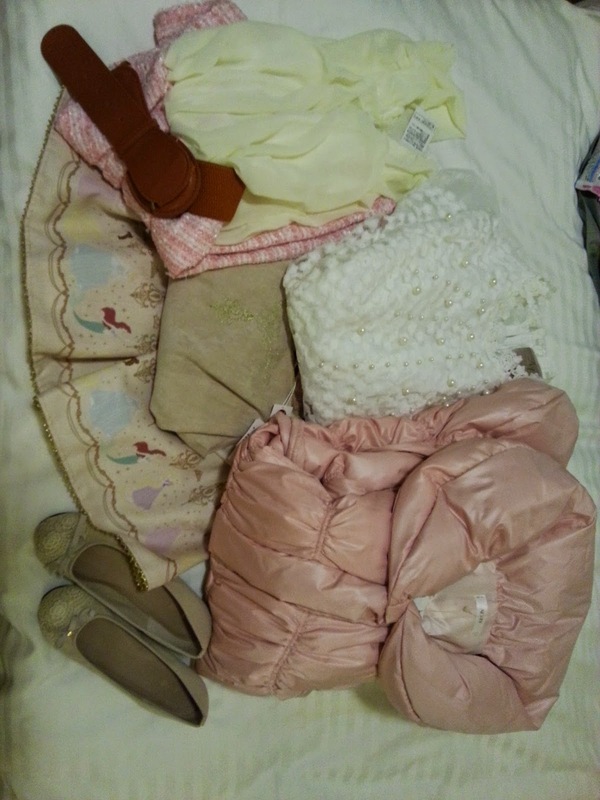 It was on sale :P.
Adree also had cute clothes and I bought a pink winter coat. It's so warm and I don't look like a worm anymore (Like in my other coat). Now I just look like cotton candy and evil monsters! Liz Lisa didn't have anything I wanted? That was super weird. I then bought two dresses and one pair of flat shoes because my feet hate me...again. 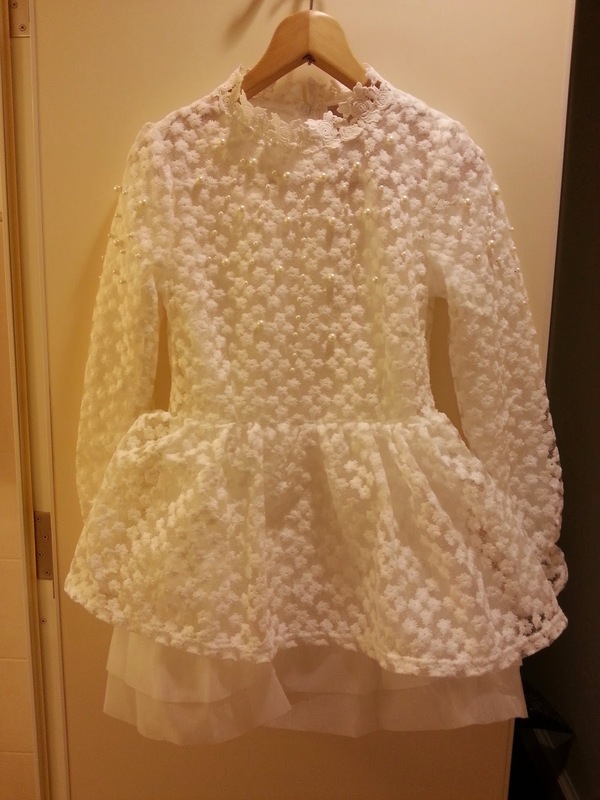 And this was from M.
I think the pearls on top are invisible on this pic? The shopkeeper was super cute and wearing a fantastic cult party kei outfit with a flower crown and rhinestones under her eyes. kyaaaa! No idea why the picture is upside down again..
After the shopping we finally wanted to do some Purikura but we couldn't find anything at all. So we walked and walked and we were already near Arujyansu again, were we started our shopping trip when Bibi got the idea, that she could go there and ask the friendly staff. So she did and we tried to find the game centre again. 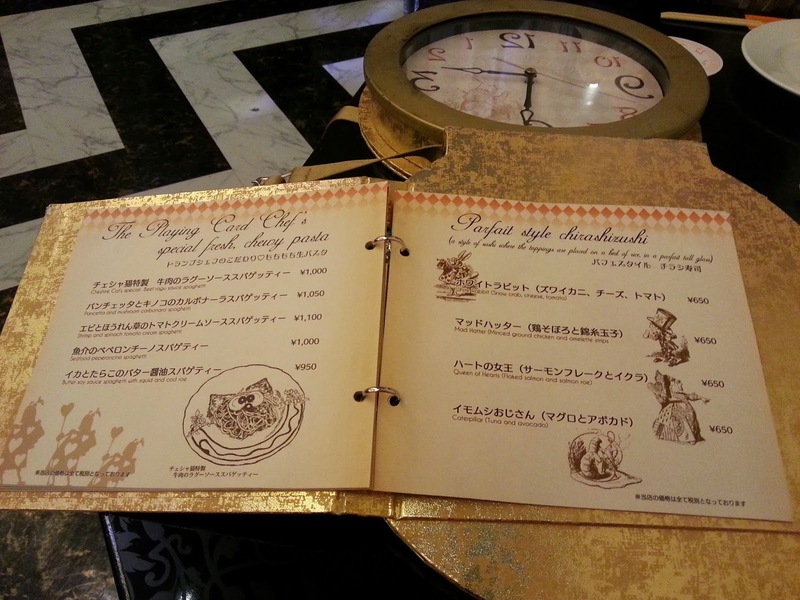 But before we could find it, we stumbled on an Alice café, we also wanted to go to. What a nice coincidence. 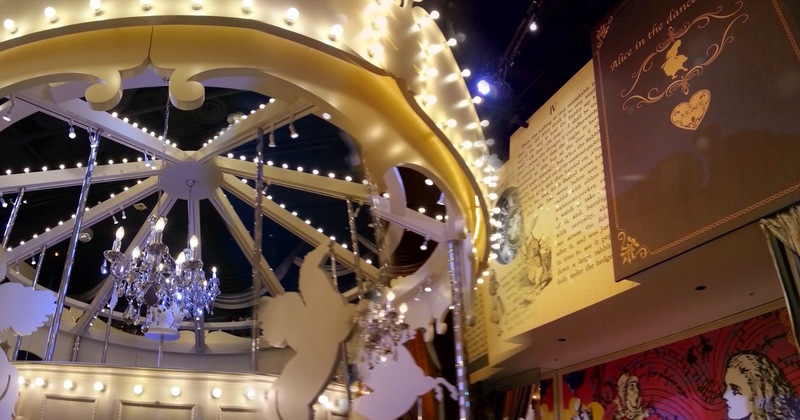 The Alice cafe was so nice! The deco was right on the spot but the food was only okay. You will get seated by cute Alice-maids and they tell you, that the time limit is 2 hours, which is totally fine. With food and drinks, we didn't sit there for more than an hour anyway. I tried a panorama picture to get everything. Doesn't it look nice? 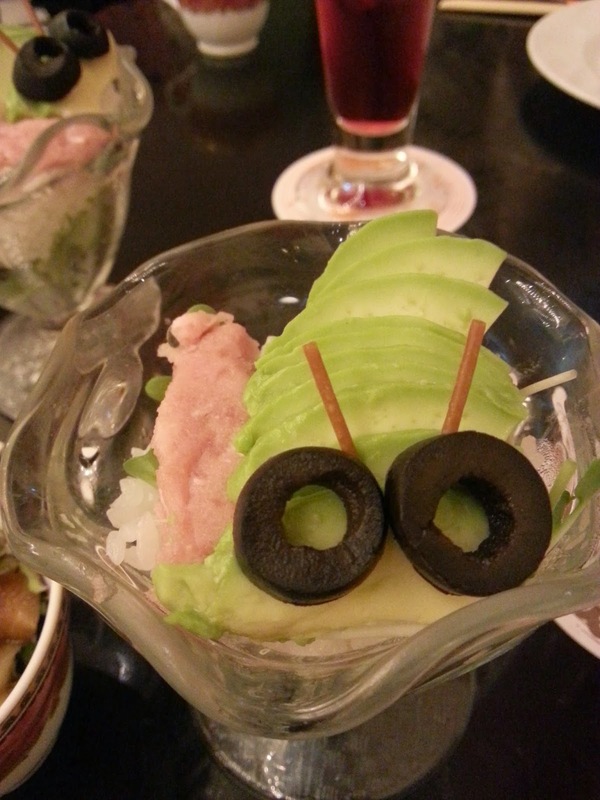 I ate a chirashi parfait which was named caterpillar. And it also looks like a cute caterpillar!!! The food design was really good. Our flower cocktails also had real flowers in them (forgot to take a picture...meh). As you can see, the menu is also in English. Hell yissss. After the food we finally managed to find the game centre with the purikura and we made two set of pictures. 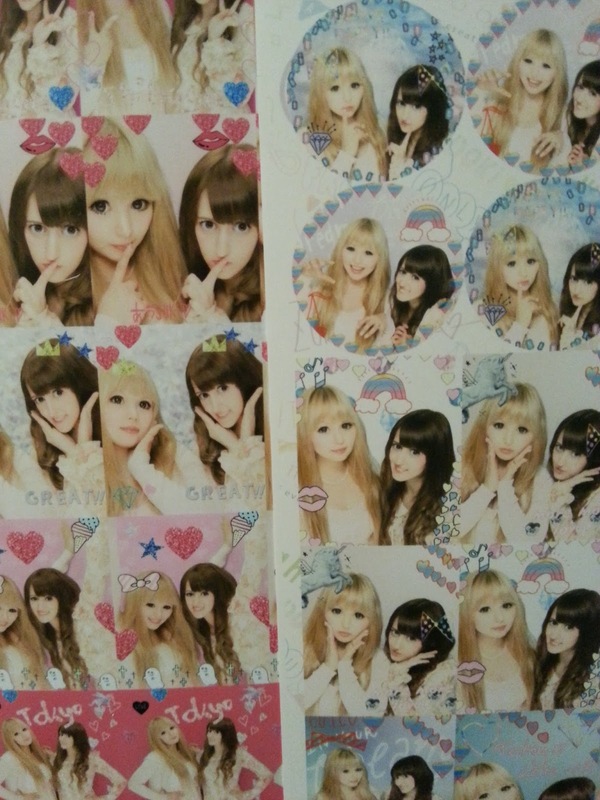 We really don't look like ourselves but like cuter, more model like versions...but that is the point of purikura? to look extra good...!